Number six in my Top Ten Titanic Toe-Tappers is probably the best known of them all. It’s that staple of a thousand scout camps, the song that tells how “It was sad when that great ship went down”. Click on the audio player above to hear Ernest V. Stoneman perform it in 1924, as released under the simple title The Titanic. Although this was the first known recording of the song, an early version of the lyrics is said to have been circulating as sheet music within a week of the disaster. Stoneman, a bluegrass musician from Virginia who accompanied himself on autoharp and harmonica, is reported to have sold over a million copies. It has to be conceded that, like many of those who have sung these words over the past century – or like many of the scouts, at any rate – he doesn’t actually sound all that sad about the tragedy. Click on the second audio player above, and you’ll hear a much wilder blues version, cut three years later in 1927, by William and Versey Smith, under the more familiar title of When That Great Ship Went Down. A husband and wife duo, they’re thought to have come from Texas. William was a gospel singer in a similar vein to Blind Willie Johnson; Versey accompanies him on the washboard, while also banging various other household implements she seems to have had to hand. The Ernest Stoneman recording comes from the excellent compilation People Take Warning, available on Amazon and iTunes. The William and Versey Smith track is from the more diverse but equally interesting box set Never Let The Same Bee Sting You Twice, also available on Amazon and iTunes. To listen to the previous selections in my Titanic Top Ten, click here. Worthy of a place in any Top Ten of Titanic songs – though admittedly not everyone might consider it to be a “toe-tapper” – God Moves On The Water was recorded by the itinerant Texan street preacher Blind Willie Johnson in 1929. To listen to it, click on the link below. Despite the fact that he didn’t actually play the blues, blues aficionados have long regarded Johnson as a sort of honorary bluesman. That’s largely due to his astonishing virtuosity as a slide guitarist; on first acquaintance, on the other hand, some listeners find the gruff, leonine roar of his voice off-putting. 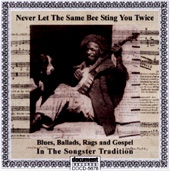 Johnson only ever recorded thirty sides, in three sessions between 1927 and 1930. Consisting of hymns, gospel tunes and moralistic ballads, they’re still guaranteed to send shivers down the spine. When Johnson was posthumously “rediscovered” during the 1960s’ blues revival, many of his new champions assumed that he’d written his own material; for his original audience, however, most of his songs would have been familiar from church. Hence his repeated use of his guitar as a substitute for his voice – with the words already known, he often sang only half of each line, completing the phrase on the guitar instead. Although this is the earliest known recording of God Moves On The Water, Johnson is thought to have acquired the song as sheet music from a street evangelist. The fact that he never sings the entire phrase “God moves on the water” suggests it was already well known. The song is often described as expressing the belief that the sinking of the Titanic was divine retribution for its owner’s supposed boast that even God couldn’t sink the ship. However, although the lyrics include such details as “many gunshots were fired”, and they mention Captain E. J. Smith by name, they never actually say that God sank the Titanic as a judgement. The suggestion seems to be more that God moves in mysterious ways, among which “over water” is simply one of His many options. After the Depression put an end to his career, Johnson returned to a life of poverty in Beaumont, Texas. He died in 1947 when he caught pneumonia after his shack burned down, and he was confined to bed with only damp newspapers for blankets. 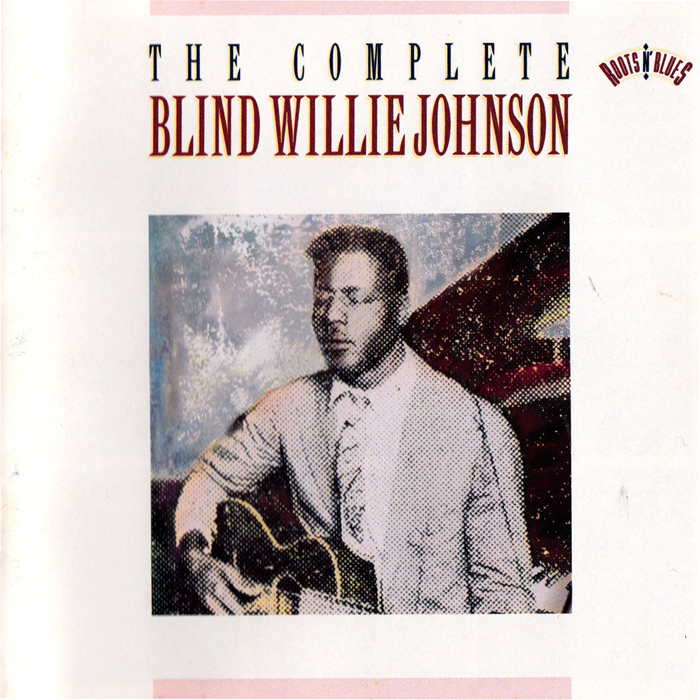 All Johnson’s recordings, including his masterpiece, the extraordinary free-form Dark Was The Night, Cold Was The Ground, are collected on the twin-CD set The Complete Blind Willie Johnson. To buy it in the US, click here; in the UK, click here.